The Nigerian police has released photos of its officer allegedly shot by Senator Dino and his armed thugs during an incident that happened some months back. Senator Dino Melaye is wanted by the Police for a case of Criminal Conspiracy and Attempted Culpable Homicide, committed on 19th July, 2018, when Senator Dino Melaye and his armed thugs attacked Police personnel; shot and wounded Sgt. Danjuma Saliu, attached to 37 Police Mobile Force (PMF) on stop and search duty along Aiyetoro Gbede, Mopa Road in Kogi State. 2. The Police operatives with a duly obtained Warrant of Arrest deployed to arrest Senator Dino Melaye in his residence in Abuja will not retreat until Senator Dino Melaye surrenders himself for arrest and investigation. 3. 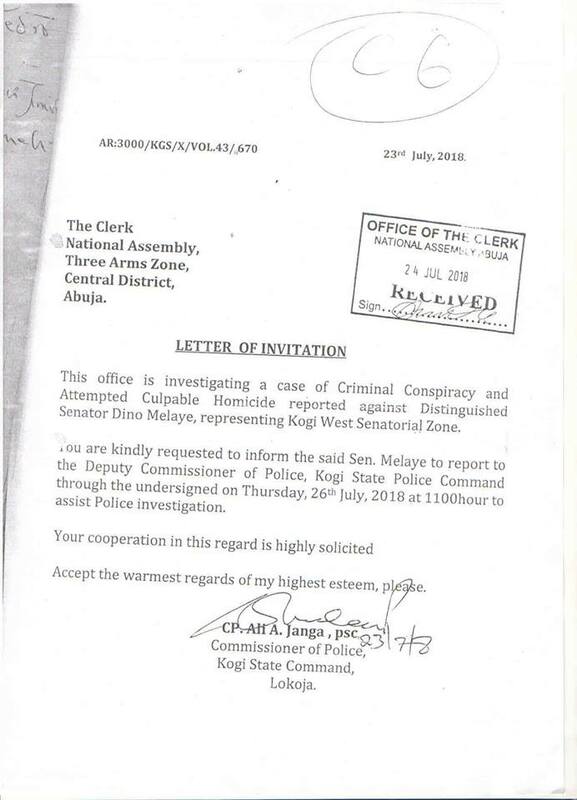 It is on record that the Police investigators submitted a Letter of Invitation dated 23rd July, 2018, signed by the Commissioner of Police, Kogi State Police Command addressed to the Clerk, National Assembly, Abuja, inviting Senator Dino Melaye to report on 26th July, 2018 at 1100Hrs at the Kogi State Police Command, CIID, Lokoja to answer to a case of Criminal Conspiracy and Attempted Culpable Homicide against him under investigation in the Kogi State Police Command. The claim by the Senate President in the Media that the Police did not submit a letter of invitation to the Clerk of the National Assembly is therefore incorrect as can be seen on attached letter with acknowledgment stamp of the Clerk, National Assembly, Abuja “24 JUL 2018“. Despite this, Senator Dino Melaye bluntly refused to report himself to the Police till date. 4. For avoidance of doubt, attached to this Press Release are the copies of pictures of the shot Police Officer, Sgt. 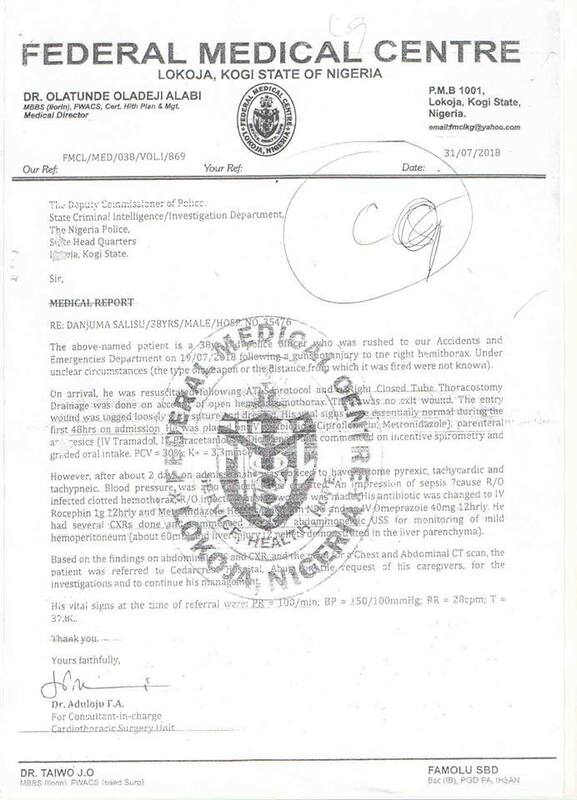 Danjuma Saliu, the Police Invitation Letter addressed to the Clerk of National Assembly, Abuja and the Medical Report from the Federal Medical Centre, Lokoja, Kogi State, confirming the admission of Sgt. 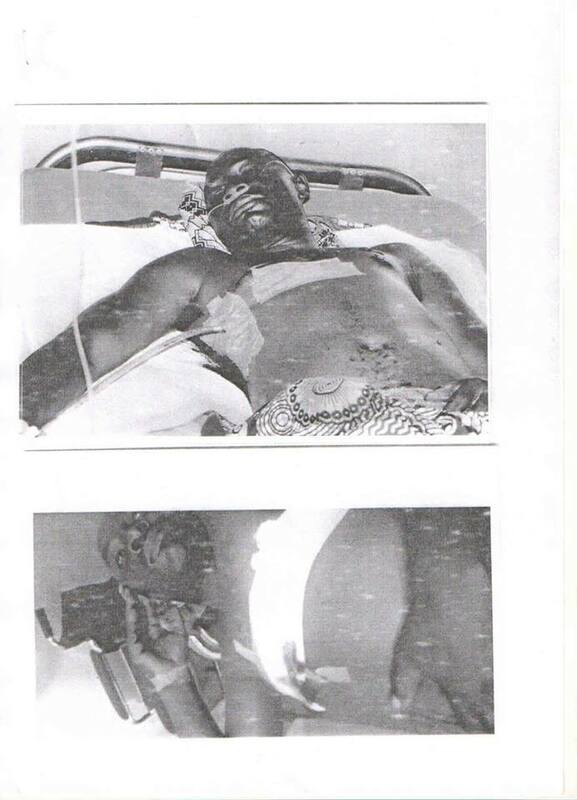 Danjuma Saliu into the Hospital for treatment of the gunshot injury he sustained from the attack by Senator Dino Melaye and his armed thugs while on Stop and Search duty along Aiyetoro Gbede, Mopa Road in Kogi State on 19th July, 2018. 6. The Force will ensure a thorough investigation into this matter while making sure that the rule of law prevails and that no suspect no matter how highly placed, involved in any criminal matter escape justice.